Aloe vera is a succulent, green plant which is grown across the world for its medicinal benefits. Aloe vera is known as the plant of immortality, because of the health, beauty, skin care and medicinal properties it has. Aloe vera is grown in tropical climates, mostly for medicinal usage. Aloe vera can be used as a juice, or gel. There are many health benefits of aloe vera, especially for skin related ailments like minor burn and acne. Because of these many benefits of Aloe Vera, it is widely used in skin and beauty care product. According to this report, Published in US National Library of medicine, aloe vera contains 75 potentially active constituents like vitamins, enzymes, minerals, sugars, lignin, salicylic acids and amino acids and has many healing properties. There are innumerable health benefits of aloe vera. Aloe has been used since ancient days in various disciplines of medicines globally, including ayurvedic medicines in India. Aloe vera is also known as Indian Aloe in English, Kumari in Sanskrit, Ghrita kumari in Hindi and Lolesara in Kannada. It is truly a wonder plant; it has antioxidant and anti fungal properties. Aloe vera is truly an amazing plant which can be grown even in the backyard or in pots. Apart from the medicinal benefits, aloe plants are grown in garden for decorative purpose as well. And today’s post is all about the various health benefits of aloe vera for skin, hair, weight loss and health. I heard you saying yes, so let’s get started. We already know that aloe vera has many medicinal and healing properties. And probably that’s the reason you can find several cosmetic and beauty products which has aloe contents. Aloe vera juice, aloe body soap, aloe moisturizer and what not. Vitamins – aloe vera contains Vitamin A, C E, B12, folic acid, and choline which are anti oxidants. Enzymes – aloe vera contains 8 types of enzymes. These enzymes help in weight loss and skin inflammation, when applied externally. Minerals – aloe vera contains many minerals including calcium, chromium, copper, selenium, magnesium, manganese, potassium, sodium and zinc. Sugars – aloe vera also contains glucose and fructose. Fatty acids – aloe vera also contains various types of fatty acids which has anti-inflammatory properties and hence it is used for minor burns. Hormones – aloe vera has auxins and gibberellins, these hormones have wound healing properties. You may also like to check this video, where Baba Ramdev has described the various benefits of aloe vera juice and aloe vera gel. Aloe vera gel can be used as a moisturizer and to keep your skin hydrated. It’s magical for dry skin. Aloe vera gel also helps in healing external wounds like minor cut or burn. Aloe vera juice is highly beneficial for your overall body. If you take 10-15 ml of aloe vera juice every day, it will detoxify your body completely. Aloe vera juice improves digestion, relieves from constipation. In fact aloe vera juice is just magical for most of the stomach disorders and ailments, including lever. And from my personal experience I can tell you that it reduces hairfall and dandruff as well. Best thing about aloe vera is that it is edible. But let me tell you that aloe vera doesn’t taste good, in fact it taste very bad, but then it’s a super food. Even if you can find ready to consume aloe vera juice, it’s always better to prepare fresh juice on your own. Aloe vera leaves are available in the supermarket, buy a few leaves and you are good to go. And if you have space, you may grow aloe vera in your backyard. Aloe vera can be consumed in empty stomach or after breakfast. But make sure to use it fresh. You can easily extract the aloe gel from its leave and consume it. Extracting aloe gel is so easy and simple, just slice the leaves and you can extract the pulp. Add a bit of lemon, a pinch of salt and if you like you may sprinkle some pepper for taste. You may also make aloe vera juice which is again much easier. Wash and rinse the aloe vera leaves, slice it so that the gel (flesh) can be extracted. Once extracted, add it to the blender and blend it slowly. But make sure to consume the gel instantly, because if you leave it even for 30 minutes, it will attract bacteria and fermentation gets started. So prepare the juice and consume it instantly, fresh and healthy. Let us take a look at some of the amazing health benefits of aloe vera. The skin is the longest sensory organ of our body and it can face several problems with time. Thankfully we have aloe vera which can help us overcome most of the common skin related problems. The age related issues like wrinkles and lines, blemishes, acne, stretch marks, severe burns, pimples, sun tan, minor rashes and heat rashes, all these problems of skin can be cured with the help of aloe vera gel. Aloe vera is used as an effective moisturizing agent for treating dry skin. Winter is the season when your skins tend to get dry and even you can see white flakes appearing on your skin. The aloe vera gel can be used to moisturize excessive dry skins, and you can see the difference within minutes. When you use creams, you feel that your skin is feeling greasy and too oily, but this is not the case with aloe vera. Aloe vera gel can get soaked in the skin pretty fast leaving no greasy feeling. Aloe vera elevates the content of water in your skin, keeps your skin hydrated without the greasy feeling. Aloe vera gel can be extracted from the aloe leaves, which are commonly available these days, in the market and shopping malls. Cut the leave from its base, let the yellow sticky thing come out and then you can scoop the gel, and apply it on your face directly. Keep the rest of the gel in an air tight, glass container and you may refrigerate it and use for a couple of times. With the passing age, your skin tends to expand and contract, skin has a property of elasticity. Post pregnancy or excessive weight gain can cause the appearance of stretch marks, stretch marks are the tears of the skin, the skin has expanded and this leads to the appearance of the stretch marks. The aloe vera gel can reduce the stretch marks; you have to apply the gel directly on the marks. These dermatological problems are caused due to pollution; prolong exposure to the dangerous UV rays of the sun, lack of skin care, liver problems, and bad food habits. Though there are many causes of these problems, but aloe vera is beneficial to cure all these disorders. You can apply the aloe vera gel on the affected areas, and do this daily without miss. Just make sure to not expose your skin to direct heat, or may be apply this at night. Make a paste of aloe gel and lemon and apply it to the affect area for best results. Add 1 tablespoon of fresh aloe vera gel and, add 2-3 drops of lemon juice to it. Apply it on the affected areas and leave it overnight. The overnight treatment is the best then the skin will get enough nourishment throughout the night. It is advisable not to go out in the sun after applying lemon juice. So, keeping the mixture overnight is the best solution. Premature signs of aging are very common nowadays and so there are hundreds of chemical products and creams available in the market. But the best way is to use the natural organic substances like aloe vera. The aloe vera gel or extract can reduce the primary sign of aging like lines and wrinkles. As you grow older the skin loses its elasticity and so the aging signs appear. It has been proved that aloe vera increases the elasticity of the skin and thus reducing the lines and wrinkles. Take 1 teaspoon of aloe vera gel, 1 teaspoon oatmeal and ½ teaspoon of olive oil and make a face pack. Apply the pack on the face and keep it for 30 minutes and then wash it off with cold water for best results. Hair fall, thinning of hair, receding hairline, all these are very common problems faced by all, irrespective of gender and age. Aloe vera, the magical plant can solve all these problems within few days. A detailed description is given in the following paragraphs. Aloe vera adds moisture to your hair, making it shiny and glossy. It reduces hair fall, and maintains the water level of your hair. If your hair is too dry, then it will lead to hair fall and breakage. Aloe vera is a much better hair conditioner than the chemical products and cosmetic conditioners available in the market. Aloe vera removes dead cells as it has proteolytic enzymes. It can repair your hair by enhancing cell regeneration. Take the aloe vera gel and apply on the scalp. You can do this after your shampoo and then leave it like that. There are several factors that can lead to dandruff, like an oily scalp, a dry scalp, itchy scalp, unhealthy food habits, or even an infection or accumulation of dead cells. Aloe vera has anti-microbial properties and anti-inflammatory properties which can fight against all these causes and finally reduce the dandruff. Aloe vera can remove the dead cells and thus promotes hair growth. The dead cells are responsible for reducing the growth of hair, so the aloe vera can help you a lot if you want to thicken your hair. Take 2 tablespoons of aloe vera gel, and 2 tablespoons of castor oil. Mix the concoction well and apply in your scalp. Massage well and leave it overnight. Wash it with a gentle shampoo the next morning. You can do this twice a week for best results. Aloe vera boosts metabolism by improving the gastrointestinal system. It can treat ulcers and acid reflux, and also regulating the bowel movements. Thus the process of burning calories is faster. Aloe vera on one hand increases metabolism and on the other hand it curtails the appetite. Thus, it can help us in weight loss. Aloe vera can reduce the sugar levels in blood; it slows down the sugar absorption rate and also restricts the accumulation of excess fat. Aloe vera is a natural laxative. It helps in better digestion, clean colon, proper functioning of large intestine and thus helping you in weight loss. Drink aloe vera juice with honey as the aloe vera is extremely bitter, so you may like to add some honey to it. Drinking aloe juice in empty stomach is best. You can add aloe vera juice in smoothies, or mix it with other seasonal fruits as a dressing. In a study published in Journal of Nutritional Science and Vitaminology, aloe vera can reduce the production of liver cholesterol by 30%. It can not only reduce the levels of LDL or bad cholesterol, but it can also increase the levels of HDL or good cholesterol. So, the aloe vera can balance the levels of cholesterol in the body in a unique way. Aloe vera reduces triglycerides, it stabilizes heart rhythm, reduces chest pain and angina attacks. It reduces the risk of heart attacks and strokes. Having aloe vera in your diet can lower your blood pressure, thus reducing the risk of heart attacks and strokes. If you have a problem of high blood pressure than aloe Vera can help you. LDL cholesterol is harmful for body and it can increase the blood pressure. Drinking aloe vera juice daily or supplementing aloe vera in everyday diet can help you lower the blood pressure. Aloe vera boosts blood circulation in the body, normalizes the pulse rates and the pressure is under control. The latex which is present in the aloe vera can be used as an efficient laxative to treat constipation. The aloe latex increases the level of water in the intestines, and also stimulates the mucus secretions. It can enhance the intestinal peristalsis which is the contractions that can break the food and mix the chime. It has been proved that aloe vera is a natural reliever of constipation that all the powerful laxatives present in the market. Drink aloe vera juice every morning in empty stomach, and this can cure constipation easily. 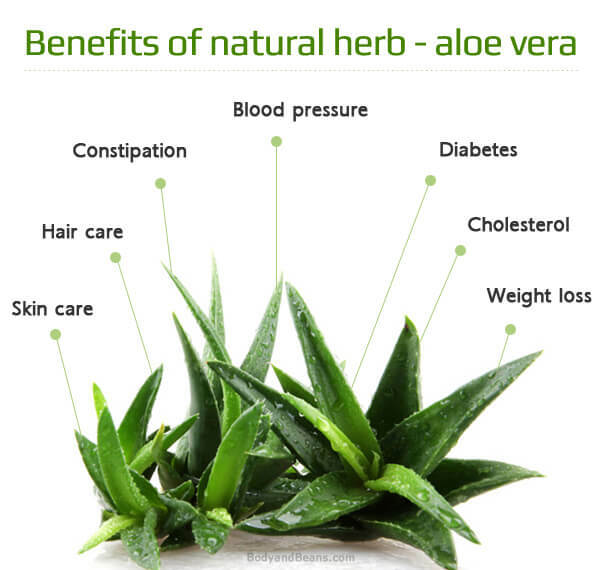 Even if there are just a few clinical reports to support all the benefits of aloe vera, there are many researches that confirm aloe vera is truly beneficial for your health and well being. Make it a point to include aloe vera in your daily diet and lead a healthy life. Even if aloe vera is loaded with medical properties, it should be used or consumed in moderate quantity. If you are taking aloe vera juice, then you should not take more than 10-15 ml of aloe juice mixed with 15-20 ml of water, each day. If you are applying aloe vera gel externally, then use it moderately. Are you taking aloe vera daily? How are you including it in your diet? Previous PostEating Salt – Is It Good or Bad for Your Health?